Though his team was a little shaky Wednesday, Pete Marchineck was steady for Calvert Hall. The senior lefty allowed three hits over five innings as the No. 2 Cardinals defeated fifth-ranked Archbishop Spalding in a MIAA A Conference baseball contest in Severn. Calvert Hall College invaded Archbishop Spalding for some baseball action Wednesday afternoon in Severn. The visitors committed four errors and left 15 men on base, and the bases loaded three times. So, you’re thinking Spalding surely must have posted a big win in the MIAA A Conference. No way, the Redbirds packed up, jumped on their bus and headed back to Towson with a 9-1 victory over the Cavaliers. It was their 11th consecutive win overall (14-2 overall) and they remain undefeated at 8-0 in the conference at least three games ahead of the nearest team in the field of 10 teams that will play 18 games. How did The Hall come away with the win at Spalding? Magic? No. Calvert Hall was a little sloppy at times, but with senior lefty Pete Marchineck on the mound mixing his pitches well and throwing ground balls at the right times, the Cards’ defense killed any hint of a threat by the Cavaliers (9-5, 5-4) in the early going. The Hall turned a twin killing in each of the first three innings while creating a 4-0 lead against Spalding starter and loser Nate Vermillion. The Cavaliers did manage to score a run in the bottom half of the third with Ethan Paige walking and then racing home on Justin Caesar’s second of two hits and a miscue by the Hall. Marchineck’s mates made three of their errors behind him, two by the thrown ball including a pickoff on his part. The 6-foot-4 lefthander threw 91 pitches in his five innings, yielding three hits, striking out five and walking five. Caesar had two of the hits and Alex Green singled leading off the bottom of the second for the other. Green was erased on a double play. Jose Torres, a four-year starter at shortstop for the Cardinals, is drawing a lot of attention from pro baseball scouts. Freshman catcher Lamar King, who had a double, handled Marchineck well and kept his senior battery mate focused while making a couple nifty blocks on pitches in the dirt with men on. The fourth Calvert Hall error came with two outs in the seventh and the 9-1 verdict in. Scott Borgmann and Grant Duemmel each pitched a scoreless inning to finish off the Cavaliers. With the bat, the Cardinals’ approach remained persistent and they kept pecking away at the runs column. They scored at least one run in each of the first four innings, but no more than 2 in the second and fourth frames when they left the sacks full. They also left the bases loaded in the sixth, but managed to score their last three runs of the game. Leadoff batter and senior centerfielder Garrett McIlhenney and sophomore second baseman Alex Khan were the only two Redbirds with two hits. McIlhenney had a bunt single and singled in a pair in the sixth. Khan, whose junior brother, Sami starts in rightfield, had a pair of two-baggers, the second one driving in two runs in the fourth. Every Calvert Hall starter had at least one hit with the exception of senior leftfielder Frank Wright, but he didn’t have much of a chance and was 0-for-1. Wright grounded to short to Caesar, then lofted sac fly to left that scored a run before getting plucked by pitches twice and then drawing a walk in the seventh. After going 17-11 and finishing No. 15 in the 2018 VSN rankings, their lowest ranking in two decades, the Hall has come back on a mission this season with four key seniors leading the way. Shortstop Jose Torres, a North Carolina State University commit is the only four-year varsity starter among the four with Marchineck, McIlhenney (Misericordia) and catcher-first baseman Parker Landwehr (Boston College) the other three. Pro scouts love Torres because of his skills and near-perfect demeanor. He makes plays that most high school players can’t make and has surprising pop and power with the bat despite being just 6-foot and 165 pounds. Senior shortstop Jose Torres, a North Carolina State University commit, is a reason Calvert Hall has set the pace in MIAA A baseball. The Cardinals are undefeated (8-0) in MIAA A play and have won 11 straight. Torres has a chance to possibly go in the top five rounds of the June free agent draft, but for now he has some big plans for the Calvert Hall baseball team. 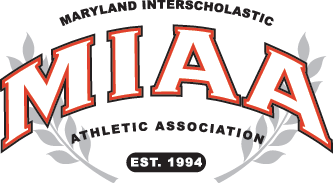 Calvert Hall has won the most MSA/MIAA championships of any school with 27, the first in 1929 and the last in 2013. Pete Marchineck, Scott Borgmann (6), Grant Duemmel and Lamar King; Nate Vermillion, Ethan McCormick (4), Caleb Collins and Tyler Hargus.